For many, it feels as though we are increasingly living in an age of political anger and polarisation. Admittedly, technology has had its part to play in that, but as an optimistic technologist, I hope that it can continue to improve our lives overall. In particular, I’m intrigued by the part that virtual reality may play, now that we are at the beginning of its mainstream adoption. Whatever your views on US “extreme vetting”, recent events have highlighted that gathering people together from across the globe can prove problematic. One of the many questions this has raised is for conference organisers: where should you host international events, if you wish to remain inclusive? As this post and the resulting comments explain, moving events outside the US may introduce border issues for US inhabitants too. 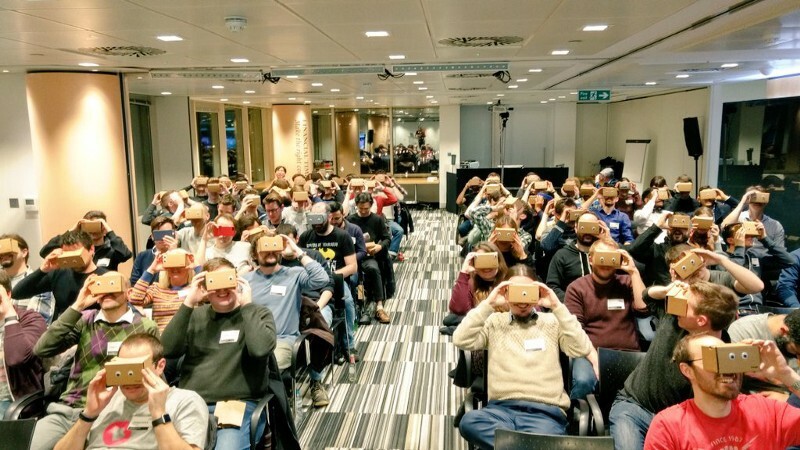 As one visitor commented, perhaps we may start to see increased conference participation through virtual reality. VR conferencing is not a new idea, but it’s feels more in need than ever. The technology is nearing mainstream quality, availability and affordability. With her recent Metaverse demo, my colleague Ada showed how it’s possible to quickly develop a multi-participant VR experience using open web technologies. I’m sure we’ll soon start to see many other examples, helping to boost international cooperation. “Nobody can figure out how to fix San Francisco’s housing crisis”. It is well known how house prices have soared in recent years, in cities such as San Francisco and London. Of course it is not an entire solution, but perhaps as virtual reality burgeons, it can start to help. As our productivity and collaboration moves increasingly into the virtual world, physical co-location becomes less important. Virtual reality can help to increase the number of remote workers, reducing the demand for housing within physical proximities. If VR-enabled remote working takes off, technology companies in hotspots like Silicon Valley are likely to be early adopters. Chris Milk famously spoke about virtual reality as the “ultimate empathy machine”, since it can instantly transport us into someone else’s perspective of the world. Given our apparently increasing filter bubbles and polarisation, the ‘ultimate empathy machine’ feels more urgent than ever. VR can make it easy to break out of our localised bubbles, without leaving the couch. And when all else fails and we need some simple respite from harsh reality, at least we can escape into a virtual one! There is a risk that some may get too drawn into virtual worlds and start to neglect the real one. However, I hope that it will help more than hinder. Like watching a good movie, escapism can give us fresh perspectives and even help us to appreciate our own world a little more. What other ways could virtual reality help us? Let me know your thoughts in the comments!